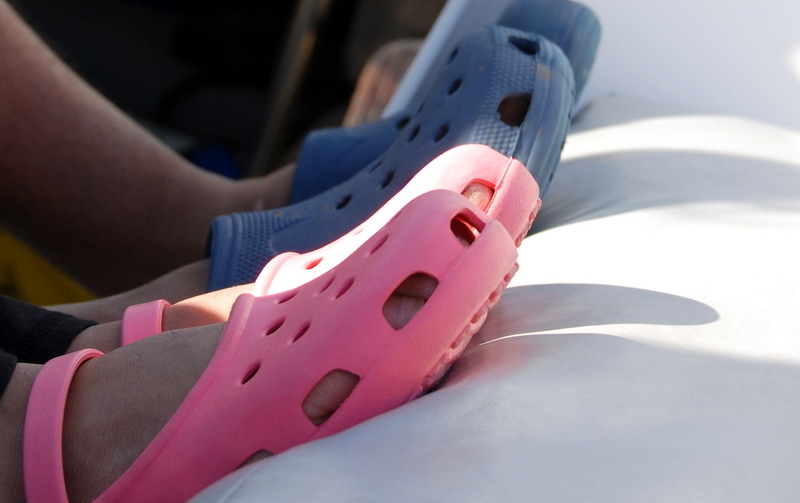 I thought that Crocs were a sort of an ugly fashion statement—but oh no they are much more! They have non-marking and slip resistant soles which makes them great for sailing! So when asked to crew on a sailboat put on your Crocs because not only will they stop you slipping off the boat, they will also not leave scuff-marks on the deck which will make the captain happy.